Since I provided you with my lovely little tirade on Saturday, I thought the least I could do was share a few photos of the homes that I fell in love with. The grist mill still works and was operating while we were there. We purchased some cornmeal. I'm looking forward to trying the cornbread recipe they gave out with the cornmeal. Watch for a post on that later. 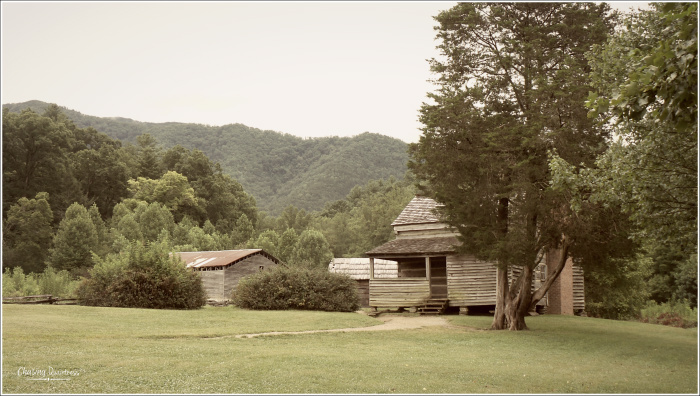 There are two Baptist churches and one Methodist church in Cades Cove. At one time, there were two Methodist churches. Why two? Because they couldn't get along back then either. Two families got mad at each other which split the church. Thus, a new Methodist church was born. 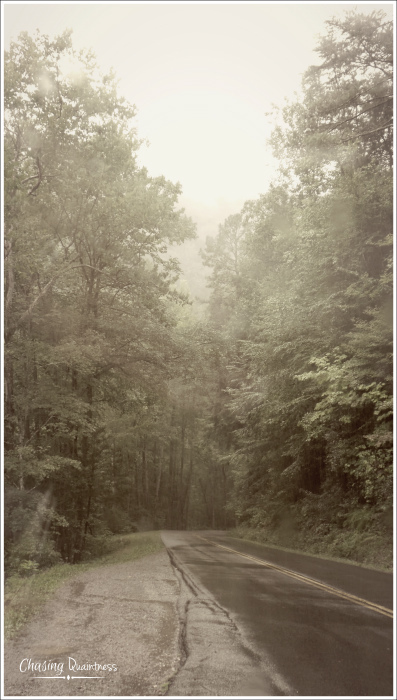 Cades Cove - one of our favorite stops when we went to the mountains growing up. It is gorgeous in autumn. Oh my goodness….it is indeed gorgeous in the fall! Nothing can match those colors!! Well, the person who left the bible, was a nicer visitor than the icky grafitti people. So with you on just sitting on that porch and looking at that beautiful view. Have a great day. It was a gorgeous view. I could have sat there all day…daydreaming! :-) In the fall, that view is breathtaking!! Thanks so much Kris…hope you have a great one also! 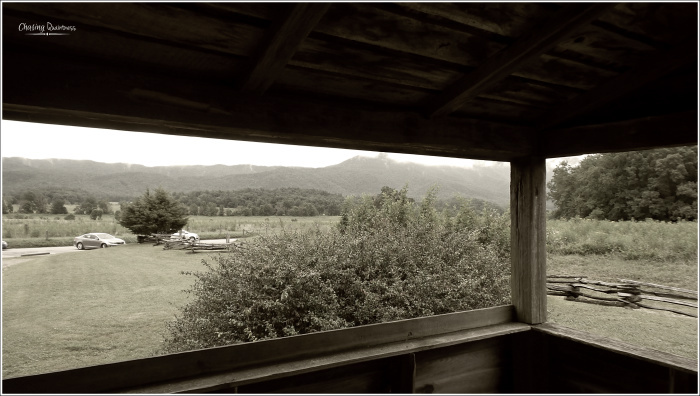 Screened porch, rocking chairs, beautiful view; Cades Cove sounds perfect to me! Looking forward to the cornbread recipe! It was so peaceful, even with the cars driving by and people coming and going. All we needed was a fiddler and some stew in the pot to go with that cornbread! :-) Hugs!! What a charming area and you're right, the views are stunning! It is such a sweet, sweet place…..so relaxing. In this area, every single hotel is sold out during the fall months…people go just to look at the “fall color”! 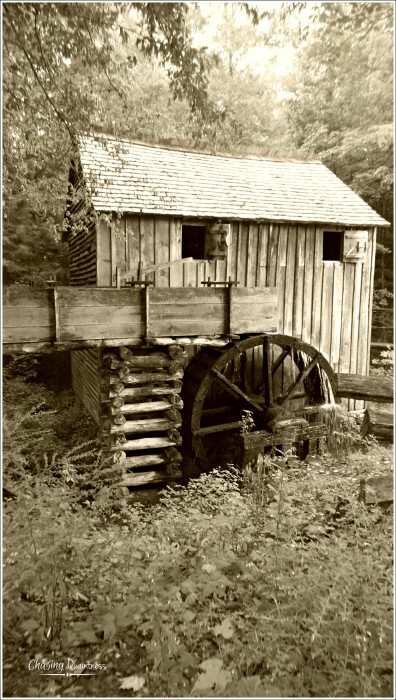 I love your blog and Cades Cove, too! Thank you Kay! I do too...it is such a great place! Wow, so rustic but so charming! Looks like a beautiful part of the country! AnnMarie, I do think you would love it. 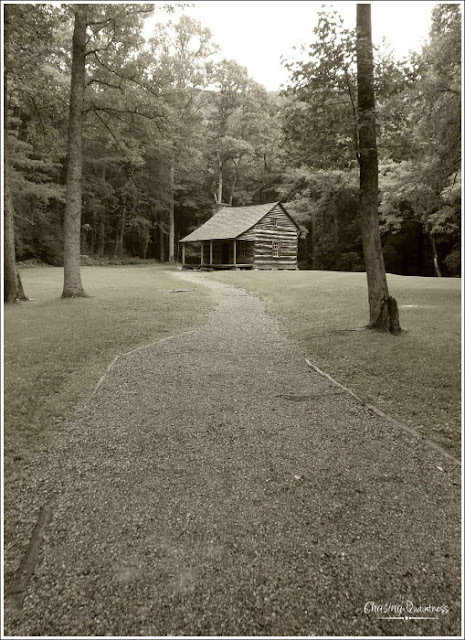 And yes, they left it very primitive when they included it in the state park. No electricity, no cell phone service. The only modern amenity in the 11 mile loop is the restroom and gift shop. We think the gift shop runs off of a generator. 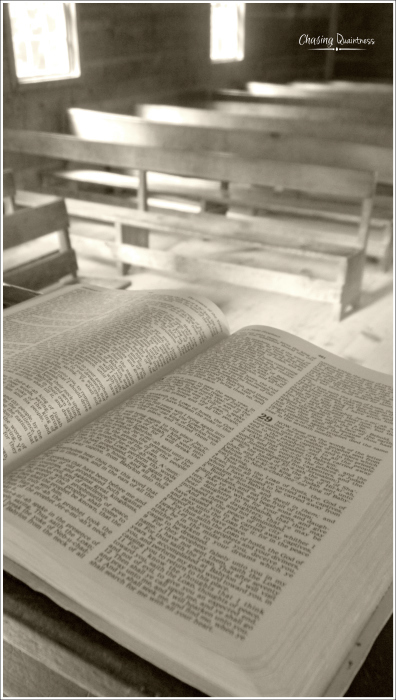 Maybe someone left the Bible hoping that it would encourage better behavior? I hope it does. Thank you ma’am! I would like to think it encourages people to not write on the walls also! :-) Hugs! !